Amcheck Home Inspections has been in business for over 12 years. Serving Summit County and surrounding counties, we offer a thorough home inspection and radon testing at competitive rates. Our reports are computerized with digital pictures using HomeGauge software. We have over 30 years’ experience in home construction and mechanical/electrical systems. Our goal is to make the home buying and home inspection process as stress free as possible. 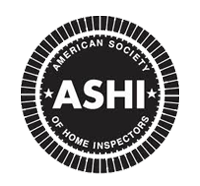 We encourage our client to attend the home inspection and we review all findings at the end of the inspection with our client. We believe that looking at what we are describing in our report, becomes clearer when shown on site for both our client and the realtor. Purchasing a new home may be the biggest investment you’ll ever make. Although the process is very exciting it can quickly become overwhelming. While the home you have selected may appear to be just what you are looking for, how can you be sure there aren’t potentially serious unknown defects which can make your future investment a costly one? Having your new home professionally inspected by Amcheck as early as possible can save you thousands of dollars on items which you may be able to have the seller or builder correct.